Adapted from Giving Birth with Confidence. It’s true: In just a decade or two, technology has changed the world dramatically. From cell phones to smart phones, from microwave ovens to Facebook friends, from high-definition DVDs to iPads, technology fills our days with vivid images and messages. It’s a noisy, busy world that can crowd out the peace we need to connect with ourselves. Connecting with yourself is an important task during your pregnancy. It’s a big job to pay attention to all the physical, emotional and spiritual changes you’re experiencing. It takes concentration to envision a future that includes a new role and a new person. Finding a place of stillness for a few moments each day can help you do this crucial work. Even if your space and your schedule are crowded, you can find a place and time to keep a daily appointment with yourself. Perhaps you can retreat to the corner of your bedroom, the bathroom, a closet or an empty room at your workplace. Perhaps you can sneak a moment before others wake up, after they’ve gone to bed, before you get in the shower or during your lunch break. You might want to “check in” at the same time each day so you treat this appointment with yourself as the important time it is. Your daily check-in may be a few moments of silence, meditation or prayer. You can use this time to get in touch with not only your feelings, but also your body and the little one who is taking up more and more of it. Close your eyes for a moment and listen to your breathing, then take an inventory of yourself: Are there any tense areas in your body—neck, shoulders, throat, hands or back? Is anything nagging at your mind? Doing a full-body and -mind check will help you identify what needs to be released, relaxed, or dealt with. Yoga, an ancient form of exercise that includes breath control, meditation and body postures, has become popular during pregnancy. It’s easy to understand why: Many yoga exercises include movements that open the pelvis. Yoga also teaches rhythmic breathing, concentration, stamina building and relaxation. Some people who do yoga report improved physical coordination and more balanced emotions. Lamaze is not just about breathing. 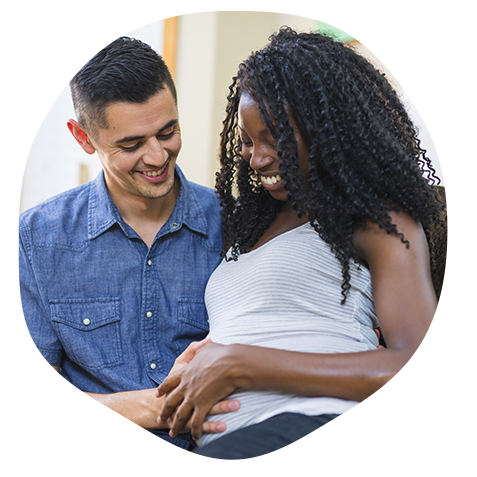 Lamaze childbirth classes prepare you for a safe, healthy birth by providing the most current, evidence-based information, simplifying birth and helping you navigate the maze of modern maternity care. Be wary of classes that spend a lot of time practicing relaxation and breathing and little or no time building your confidence, discussing how to keep things simple or how to have the safe, healthy birth you want in the birth setting you have chosen. When allowed and encouraged to, you will naturally move, moan, sway, change your breathing patterns and rock to cope with contractions, eventually finding the right rhythm for your unique needs. Such active comfort-seeking helps the baby rotate and descend and helps prevent labor from stalling. As contractions get stronger, your body releases endorphins—nature’s narcotic—to ease the pain. Conscious breathing (especially slow breathing) reduces heart rate, anxiety and pain perception. It works in part because when breathing becomes a focus, other sensations (such as labor pain) move to the edge of your awareness. Conscious breathing is not only easy to learn and use, but is also an especially useful labor tool because it keeps you and your baby well oxygenated. It’s naturally rhythmic and easy to incorporate into a ritual. And best of all, breathing is the one coping strategy that can’t be taken away from you—even if you’re stuck in bed attached to an electronic fetal monitor and intravenous fluids. Conscious (or patterned) breathing used to be the hallmark of Lamaze childbirth education. For many, it’s still an important way to stay relaxed and on top of their contractions. It’s true that conscious breathing can help you relax and feel less pain during contractions. There’s no “right” way to breathe in labor, despite what others may tell you. Slow, deep breathing helps to manage the pain of contractions. But the right way for you to breathe is whatever feels right to you. Issues like your number of breaths per minute, breathing through your nose or your mouth, or making sounds (like hee-hee) with your breaths are only important if they make a difference for you. It may help you to have a visual focus to accompany your conscious breathing. You can recall an image with your eyes closed, focus on a picture or special object from home, keep your eyes on your support person or simply stare at a spot on the wall. You may also find that as labor progresses, faster, shallower breathing—like a dog gently panting—feels better. You’ll figure out what works best for you. And what works best will probably change as you move through labor. You can also “practice” breathing during pregnancy by using conscious breathing when everyday life presents stressful situations, like being caught in traffic, running late for an important meeting or worrying about any number of things. At some point in labor, you’ll “find your rhythm” or “get in a groove,” much like a marathon runner does. You’ll be living in the moment, doing without thinking. To others you’ll appear to be in another world. Your movements will be rhythmic; you’ll relax between contractions; you’ll respond to contractions in the same way again and again, perhaps shaking your arms, rolling your head, breathing slowly, chanting or praying. You’ll be totally focused, but you won’t necessarily look comfortable. You’ll look like you’re working very, very hard—which you are. When this happens, you’ll know endorphins are working their magic: Dulling your pain and helping you ride your contractions intuitively. You’ll be doing exactly what you need to do. You won’t need to be rescued; in fact, the worst thing that could happen to you at this point is to be disturbed or interrupted. A healthy dose of encouragement, support and respect are all you’ll need from your support team.